22 cents. Thats all movie lovers had to pay to see a movie at the Plaza Theatre when it opened on December 25th, 1919. The Weaver brothers believed “if they build it, the people would come.” It would feature clear projection, new movies, a Wurlitzer organ, and almost 700 seats. The Plaza Theatre remained a community icon for 50 years until 1968, when televisions and other commercial factors began competing for the attention of theater goers. The Theatre became a western retail store in 1968, which closed in 2002. The Theatre stood vacant from 2002 until it was beautifully restored. 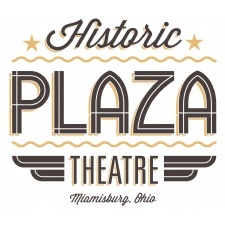 The Plaza Theatre reopened on Christmas Day of 2015, thanks to the efforts of a non-profit organization passionate about revitalizing the unique downtown Miamisburg area. Free Large Popcorn with the purchase of a ticket. Limit one free popcorn per visit.